Trichologists have long been researching the role of nutrients contributing to scalp and hair health. 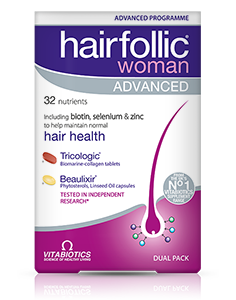 Hairfollic Man Advanced is a dual pack programme that has been developed to provide a full spectrum of vitamins and minerals, including scientifically researched Beaulixir® capsules. 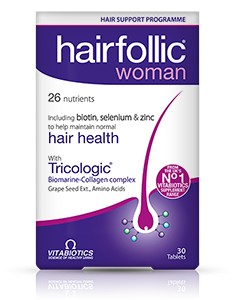 Exclusive Tricologic® Amino-lignan A proprietary combination of selenium and zinc which contribute to normal hair. Plus lignans, amino acids and grape seed extract. 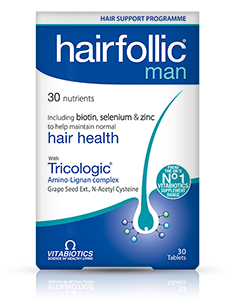 Hairfollic Man Advanced also contains support for your skin and nails as it contains vitamin C which contributes to normal collagen formation, plus niacin (vitamin B3) which contributes to the maintenance of normal skin. The formula also includes zinc and selenium which contribute to the maintenance of normal nails. 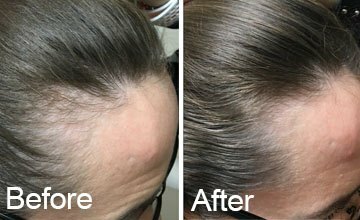 The Hairfollic Man Advanced provides a comprehensive balance of nutrients, including vitamin D which helps to maintain normal bones and immune system function, plus vitamin C which contributes to normal collagen formation for the normal function of skin, bones and blood vessels. An additional multivitamin is not necessary. 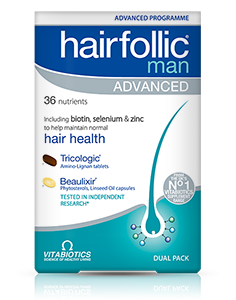 Hairfollic Man Advanced can be ordered online here.